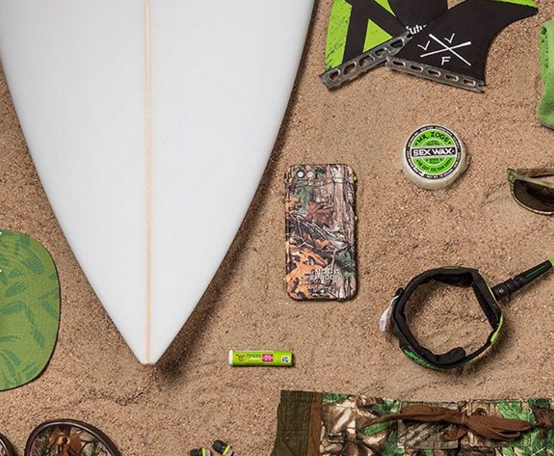 When it comes to waterproof cases, the Lifeproof case brand has something to offer. If you are looking for a Lifeproof case for iPhone 6 or 6 Plus, you might want to be well informed first before getting one. So today we will be reviewing the Lifeproof NÜÜD case which is one of the two popular cases of Lifeproof that offers complete protection for the iPhone 6 and 6 Plus. The most awesome feature of the Lifeproof NÜÜD case is it’s waterproof. It has an IP8 rating which is the highest rating for water immersion protection. You can use your iPhone underwater up to 2 meters in depth for 1 hour, and no harm will come to your phone from water damage. Aside from being waterproof, the case is also snowproof. So this case is perfect if you want to take pictures underwater when you go swimming, snorkeling, or diving. This case will also be very useful if you will be engaging in water sports like surfing, kayaking, wakeboarding, and white water rafting. 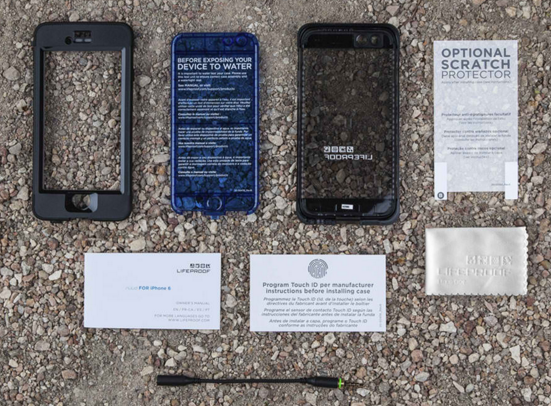 What is cool about their process in making this case is that they test each case for water resistance in the factory, and they also perform a random test after the individual test. Other popular brands for rugged cases (e.g. Otterbox, G-Form, Ballistic, Incipio, Amzer, and Griffin) don’t have waterproof cases. 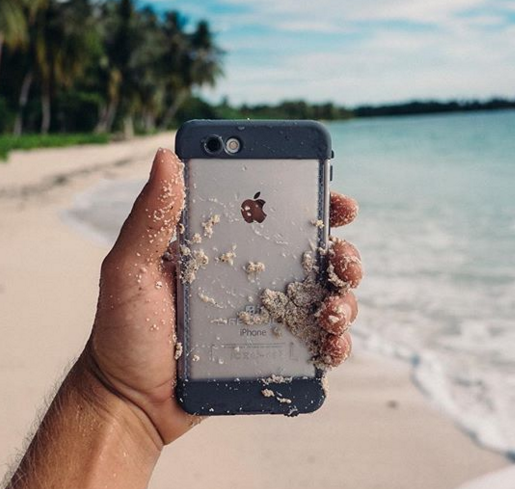 Some may have splash-resistant cases, but a waterproof case is something else. If you are planning on getting one, you should keep in mind that this case is not for everyone. If engaging in water sports or any related activities is part of your lifestyle or part of your vacation, this case is perfect for you. But if you’re mostly indoors or just want to take your iPhone with you in the pool, you may have to consider the downsides of having this waterproof case. You will have to test the case on your own first before using it on the actual phone. The case comes with an instruction manual and a test unit (blue plastic – see image below), and you have to make sure you screw the ear jack and close the charge port door. The test unit must be submerged in water for 30 minutes. If there is moisture inside even after following all instructions, you have to call for a replacement. They have an excellent customer service anyway. If you want to use it with a headphone while maintaining the waterproof seal, you should use the Headphone Adaptor that comes with the case. You have to loosen carefully the screw of the ear jack before putting the headphone adaptor and then screw the headphone adaptor into the ear jack. Charging your phone is a normal daily routine. The problem with the charge port door is that it may easily break after a few weeks of use. If this happens, you have to contact them immediately because the warranty replacement covers this. Another limitation of the charge port door is that it is only designed for the official Apple Lightning cable. Third-party chargers may not fit, and the warranty does not cover this. Although Lifeproof claims that the case is designed and tested to maintain the sound quality of the iPhone, but because of the tightness of the case, the loudspeaker quality may still be reduced. Aside from the loudspeaker, there may be a reduction in the volume of incoming and outgoing calls. You may try to get a replacement if this happens, but since this is a common issue for this Lifeproof case, another possible alternative is to use a Bluetooth headset instead. Although some may say that it works with their iPhone 6s or 6s Plus, according to Lifeproof, this case is only designed for iPhone 6 and 6 Plus. There are Lifeproof NÜÜD cases specific for iPhone 6s or 6s Plus and they made some dimensional changes to make sure it fits these new iPhone models. So I suggest you don’t risk using the iPhone 6 or 6 Plus NÜÜD case in your iPhone 6s or 6s Plus. Another cool feature of the case is its very high drop protection that complies with MIL-STD 810G-516.6, which is the U.S. Military Standard for drop and shock protection. The maximum drop height is 6.6 ft. The only problem with this standard is it is quite flexible. So the manufacturer may tailor their test methods to fit the application. 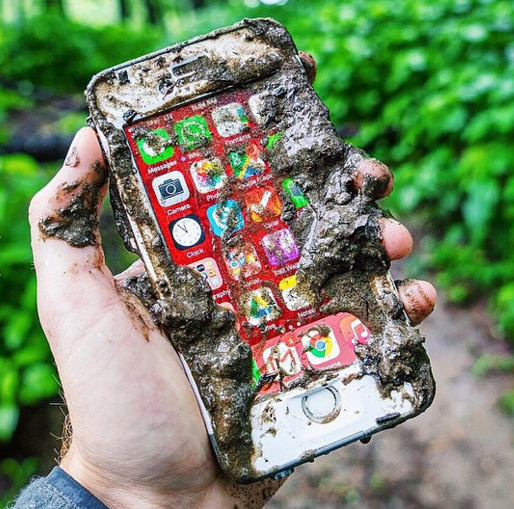 Unfortunately, the test methods were not disclosed by Lifeproof. Based on the design, the sides of the case will absorb most of the impact for a 6.6 ft drop and the case ridge will protect the screen from drops on a flat surface. The problem is, what will happen if the iPhone drops facing down on a hard, uneven surface? The phone’s screen may still shatter because the case does not come with a built-in screen protector. It comes with an optional scratch protector that you can install but it is not made of tempered glass. So the case may provide a very high level of drop protection but not completely drop proof as advertised, especially in unusual drop scenarios. The case has no built-in screen protector so it fully exposes your screen. To get full protection from scratches, you must install the optional screen protector that comes with the package. The case is also dust tight. It has an IP6 rating which is the highest solid particle protection that a device can provide. No dust will enter your phone, and this will save you from future repair costs due to dust buildup. Amazingly, the Lifeproof NÜÜD case is very compact and sleek despite that it is a rugged case. I was actually surprised. Normally, rugged cases are quite bulky and heavy, so the compact and sleek design is really awesome. 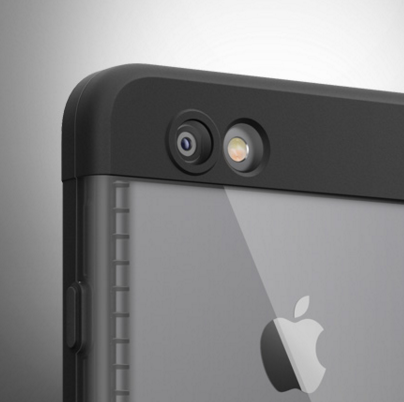 Aside from the compact design, it has a clear back so it will not hide the iPhone’s color and design. I am one of those people whose one of the primary reasons for buying an iPhone is its color and design. So having a clear case is very important. But if you want a colored cover at the back, you can try the Lifeproof FRĒ case. The Lifeproof NÜÜD has a rubbery feel on the sides but the back is slippery so it provides a good but not great grip for your hand. Is the price of the case worth it? For the water, snow, drop, scratch, and dust protection, whether the retail price of $99.99 is worth it or not will depend on your lifestyle and the occasional ways of using your iPhone. 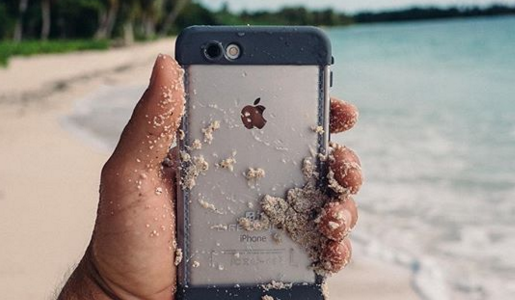 If you are into water sports and other related water activities, or you need water protection for your iPhone during your vacation, this kind of case is a must-have. And the downsides may be overlooked. The price of an iPhone ranges from $650 to $950, and that is the amount that you will save when you drop your phone on water or snow. If you are always indoors, the downsides may be too annoying to compromise. Instead, you may try the non-waterproof cases that have a very high drop and scratch protection like the Otterbox cases. If ever you want a discounted price for the Lifeproof NÜÜD, Amazon makes very lower offers. To ensure that you are buying 100% authentic case from Amazon, it is advisable to check the product page if it contains the clause “Ships from and sold by Amazon.com”. This ensures that you are buying directly from Amazon and not from a third-party Amazon reseller. 1.) Lifeproof NÜÜD vs. Seido Obex. Seidio Obex is also waterproof (IP8), dustproof (IP6), and compliant with U.S. Military Standard for drop and shock protection. The price of Lifeproof NÜÜD is a little higher compared to Seidio Obex. For iPhone 6 Plus, Seidio Obex’s retail price is only at $79.95 while the NÜÜD case is at $99.99. Both products have one year warranty. When it comes to camera image quality, with Seidio Obex, there are instances when the case gives a blue background to the camera images. 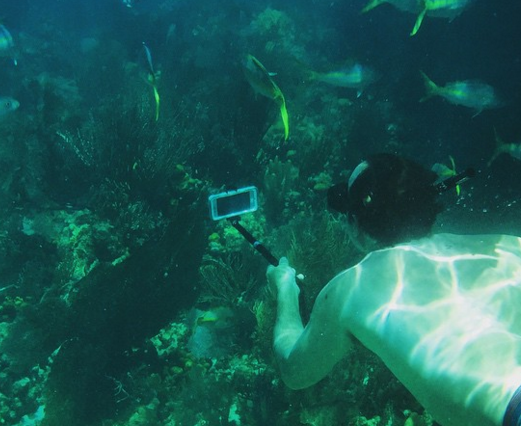 There are no problems with camera images when using the Lifeproof NÜÜD. When it comes to screen responsiveness, the Lifeproof NÜÜD has no built-in screen protector so responsiveness is not a problem even if you install the optional screen protector. Seidio Obex may occasionally affect the Touch ID and may reduce the screen responsiveness a little. When it comes to the effect on the volume of the phone, both cases may reduce the volume of phone calls and the loudspeaker. 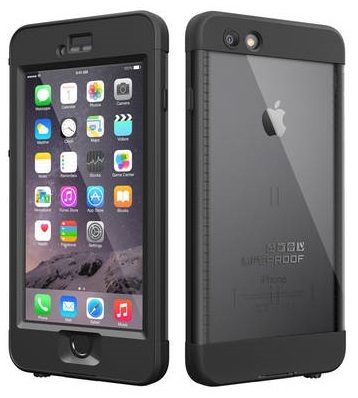 With all the comparisons above, I would prefer the Lifeproof NÜÜD over the Seidio Obex case. 2.) Lifeproof NÜÜD vs. Lifeproof FRĒ. The retail price of Lifeproof NÜÜD is a little higher. The Lifeproof FRĒ is only at $89.99 for iPhone 6 Plus but it comes with the same water, dust, drop, scratch, and snow protection. And both cases have slim and compact designs. The advantage of Lifeproof NÜÜD is that it does not have a built-in screen protector and the back of the case is clear to show off the iPhone’s color and design. The back of the NÜÜD case does not easily scratch and the front of the NÜÜD case also looks a lot better. The rubber seal of the charge port door of the NÜÜD sits tightly. With FRĒ, you may easily lose the rubber seal in the charge port door. Both cases may reduce the volume of calls and loudspeaker. The Lifeproof NÜÜD case for iPhone 6 and 6 Plus is an awesome product and one of the rare iPhone cases that provides a waterproof feature. This case is not made for everyone. *The criteria used to compute the overall score of this case is the same criteria used for the review of the other cases in this website.